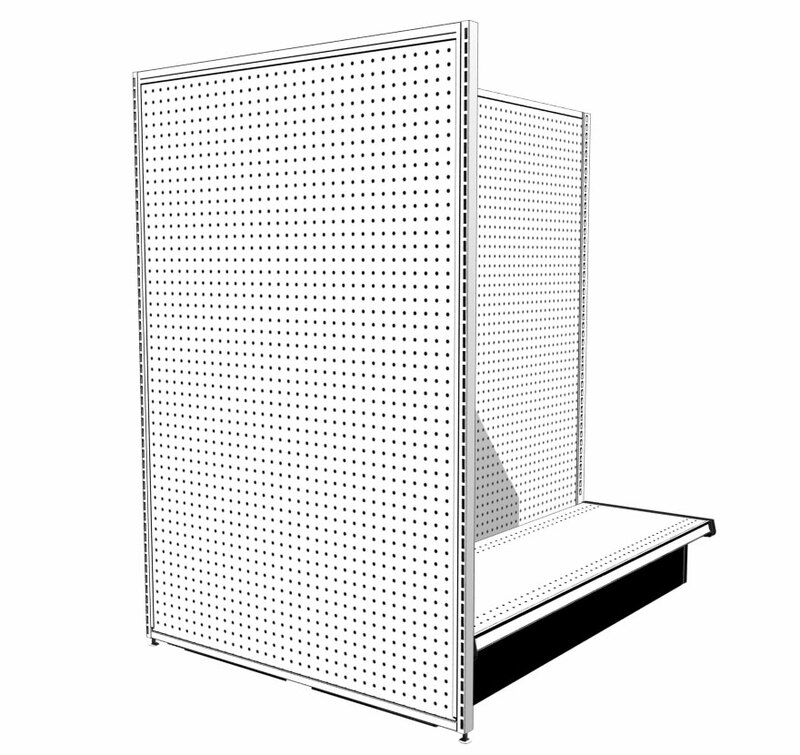 Choose the style that fits your merchandising needs: End (EMP), Flush (FMP) and Full Height (FHMP). End Merchandise Panel fits around Uprite for a flush fit against Island Gondola. 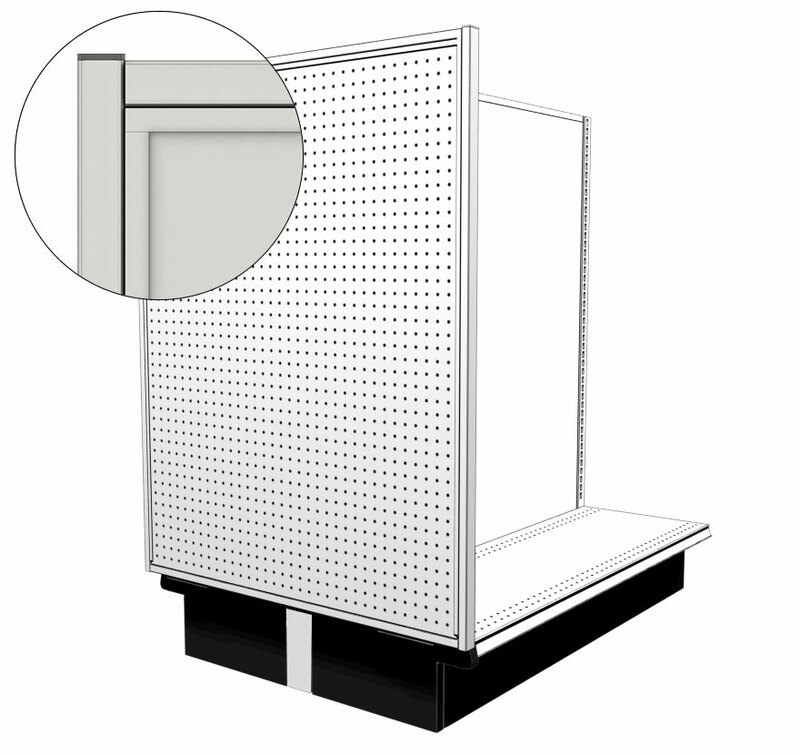 Flush Merchandise Panel hangs on the outside of Uprite, allowing for more merchandising options. 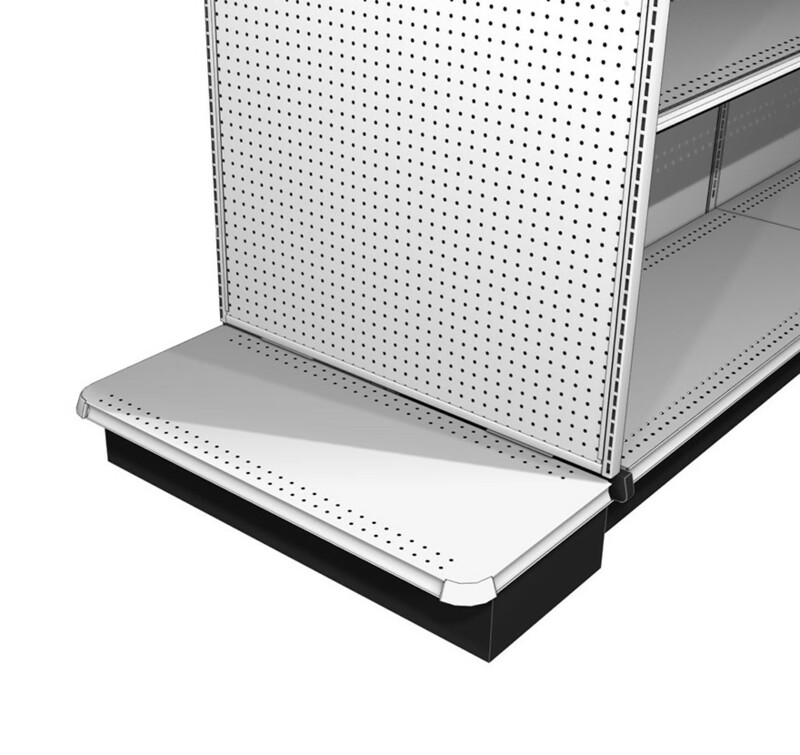 Only Merchandise Panel that is compatible with T-Leg Base. 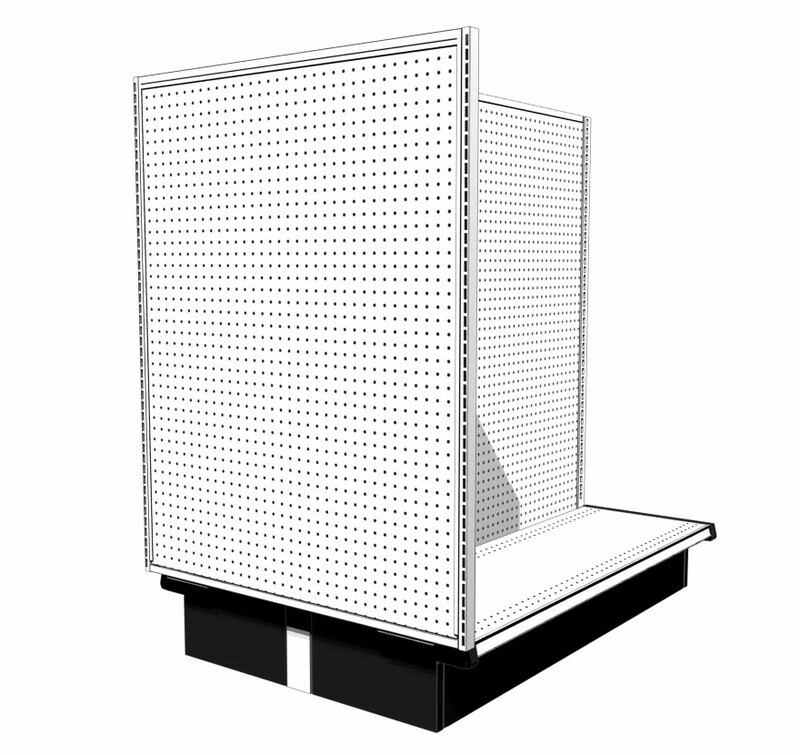 As the full height version of the FMP, the Full Height Merchandise Panel rests on the floor with leveling legs. 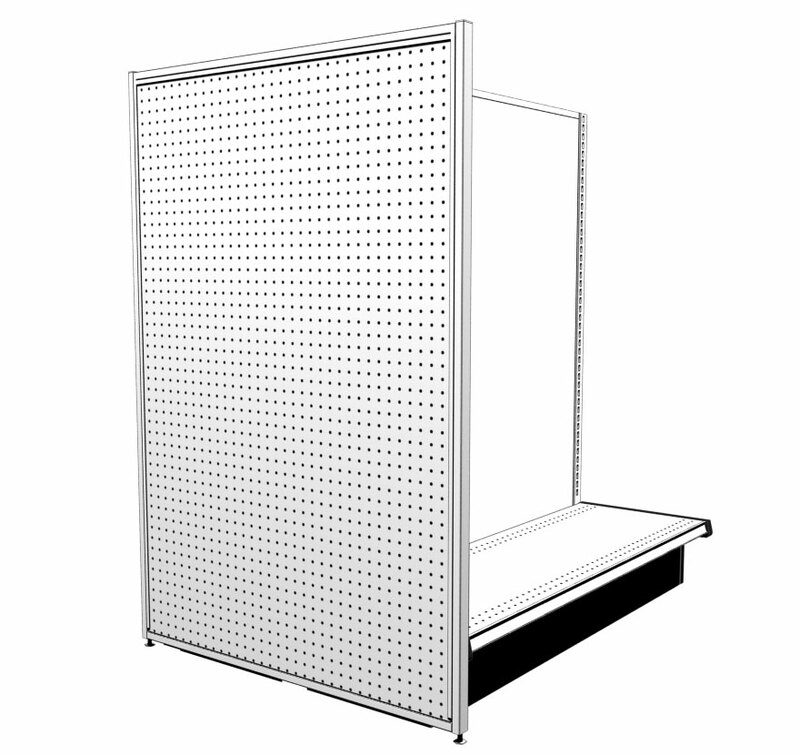 Close Off Panels feature unslotted frames – an alternative to Merchandising Panels. Choose between the Flush Close Off Panel (FCP) and Full Height Close Off Panel (FHCP). 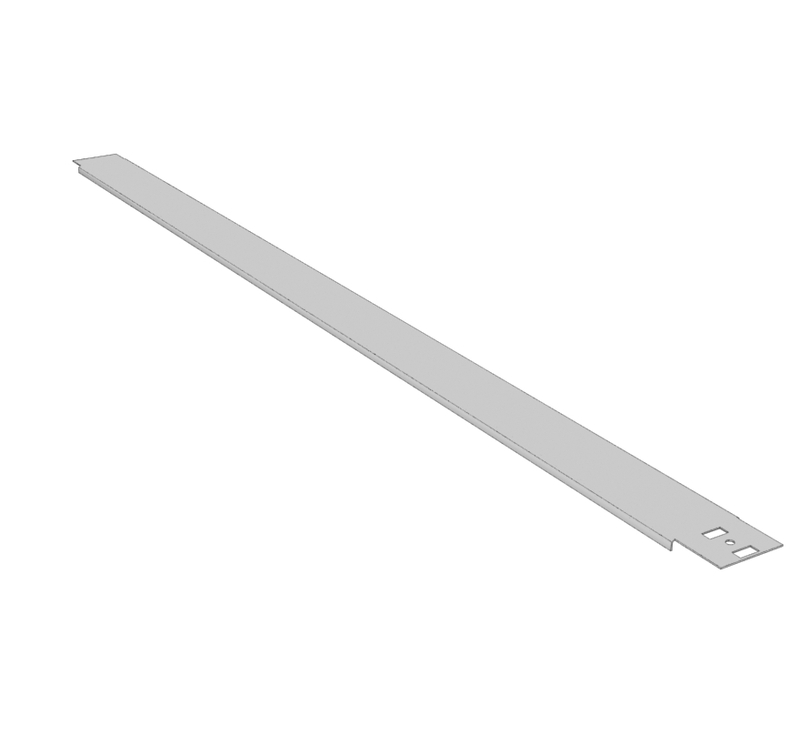 The Flush Close Off Panel is unslotted and can be used for a seamless, closed off look to your Gondola run. 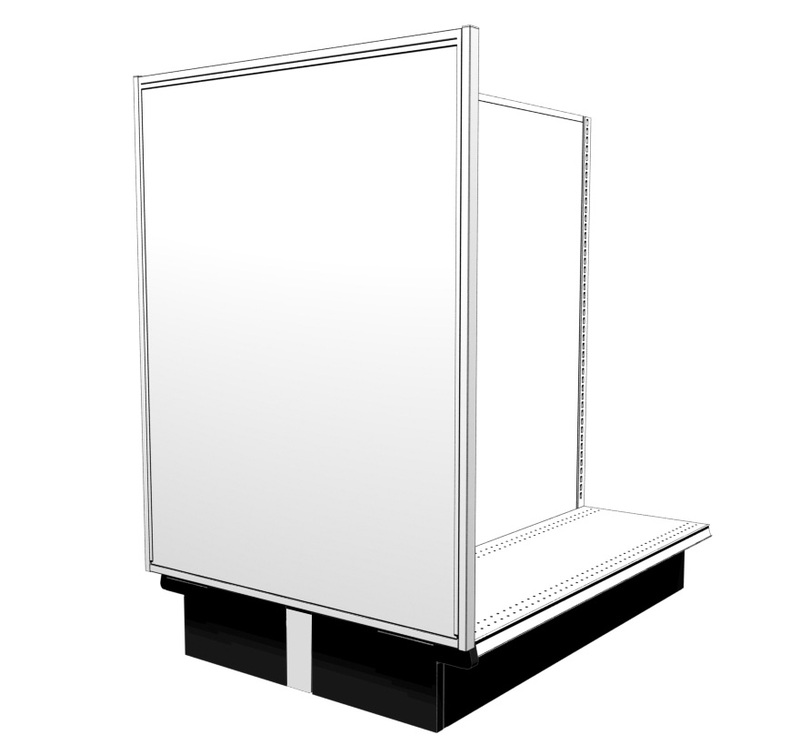 Use Full Height Close Off Panel for a seamless, closed off look to your Gondola run. Panel rests on floor with leveling legs. Use the Outside Mount Conversion Kit to convert End Merchandising Panel so it will accommodate offset applications. 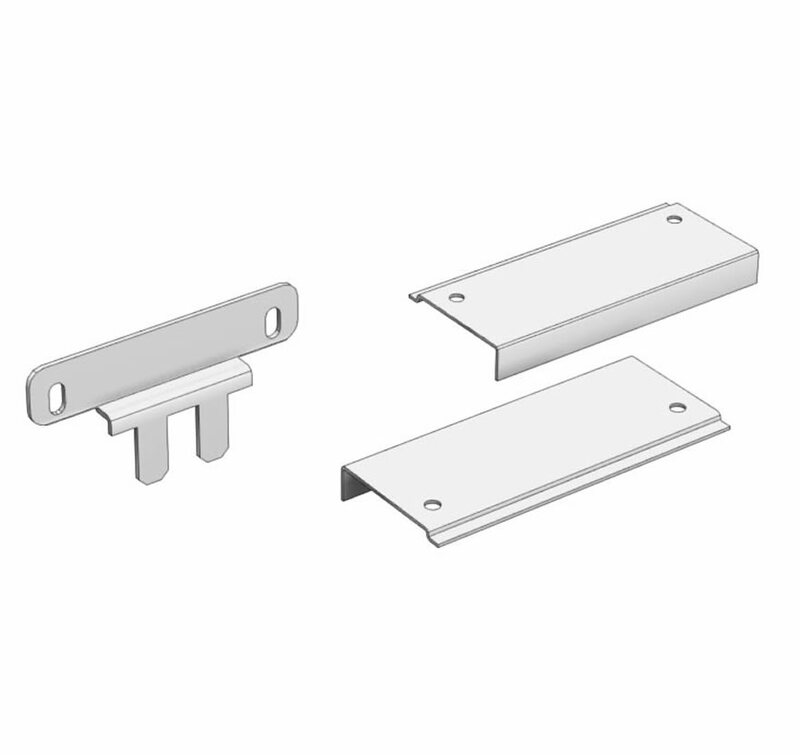 End Deck locks onto Base End Trim and can easily be removed by releasing locking clips. 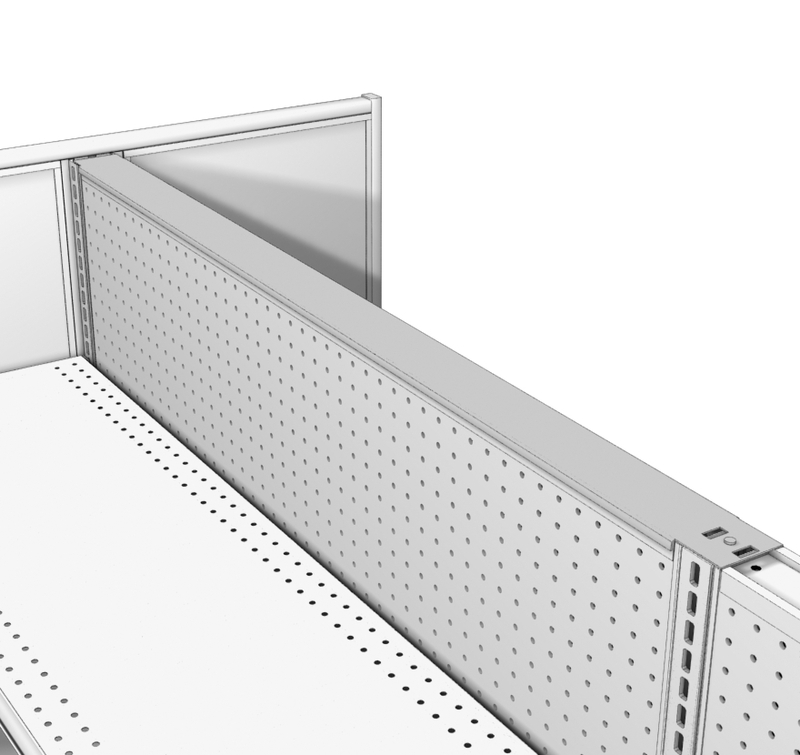 No tools are required and the End Merchandising Panel does not need to be removed to install or release End Deck.